Augusta – In an email to State Treasurer Neria Douglass, Governor Paul LePage reneged and cancelled his authorization of nearly $100 million in bond monies for projects across Maine. 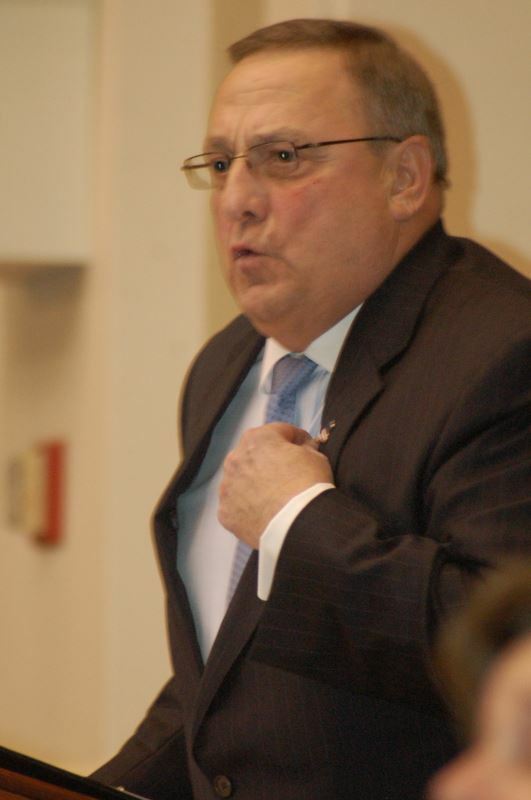 LePage has a track record of using bonds as political leverage with the Legislature. He refused to issue the voter-approved economic investments during his first two years in office, stifling economic growth and job creation. Two weeks ago, during a Maine Chamber of Commerce event, LePage threatened again to withhold bonds if the Legislature passed a measure restoring the state’s funding promise to towns and cities across Maine. Both bodies of the Legislature passed the measure with overwhelming bipartisan support, reaching a veto-proof, two-thirds passage with votes of 33 -- 2 in the Senate and 120 -- 17 in the House. Maine now ranks 50th among all other states in private sector job growth since January 2011, according to the Maine Center for Economic Policy’s analysis of Bureau of Labor Statistics, Regional and State Employment and Unemployment Data. I am concerned that recent newspaper reports state that the Governor is now saying he will not go to market and will withhold state bonds. So far the Treasurer’s Cash Pool has expended $52,114,073 in funds that will have to be replaced by the sale of bonds before the end of this fiscal year. We have requests for $84,042,798 that include $21 million for Transportation, together with a long list of other projects. Maine Maritime, the University of Maine, and the Maine Community Colleges are moving forward with projects that I expected to fund from the TCP and then reimburse from the sale of bonds. I would appreciate your thoughts on this problem. I am reluctant to continue funding while these statements are being made publically. Of course underwriters and others read the newspapers too. I will not approve going to market until there is $60 MM in the Rainy Day Fund. I will not subject the state to further credit reduction. In the past the Treasurer would keep the Governor updated on cash expenditures, you have chosen not to.